All writing workshop participants will be offered FREE daily bus passes throughout the 1-week summer program. For more information or to register for our FREE workshops, contact BW in Austin via e-mail: [email protected] or call 512-537-2751. FB event page: Click Here! 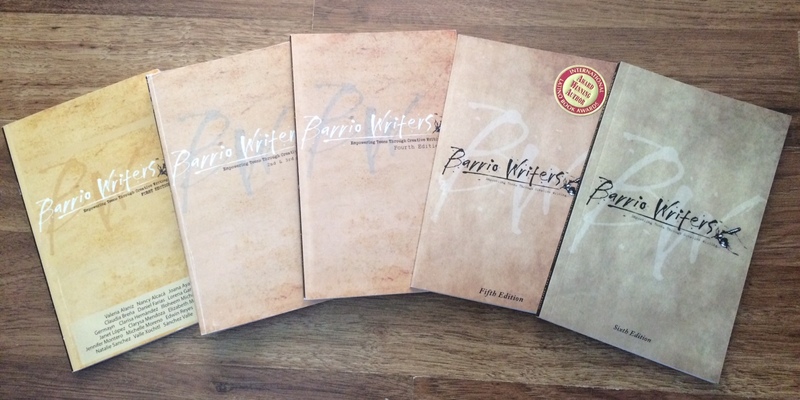 The Center of Mexican American Studies has partnered with Barrio Writers to host a free 1-week summer writing program at University of Texas in Austin! We invite all youth between 13-21 years old to participate in a 1- week long college-level creative writing program founded by Sarah Rafael Garcia and led by Program Directors Leticia Urieta and Marilyse Figueroa, along with UT students and local community educators/artists which will provide youth with an opportunity to learn different forms of writing (poetry, spoken word, hip-hop, short stories, essay), a path to college and free cultural arts field trips, along with a 1-week bus pass! Barrio Writers in Austin is supported & co-hosted by The Nettie Lee Benson Latin American Collection, Resistencia Bookstore and Save Our Youth, a project by Red Salmon Arts.